Out of all Hindu deities, Lord Shiva is extremely popular not only amongst Indians but also amongst the people of other nationalities. 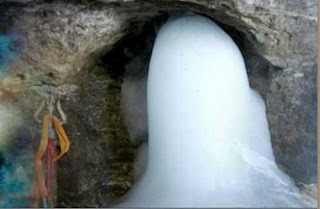 To get closer to their revered God, who appears on this earth in the unique form of an Ice Lingam, millions of devotees trek through the daunting mountains to Shri Amarnathji Shrine in South Kashmir every year in the summer months to pay obeisance. The cave is situated at an altitude of 3,888 m (12,756 ft), about 141 km (88 mi) from Srinagar, the capital of Jammu and Kashmir and reached through Pahalgam town. 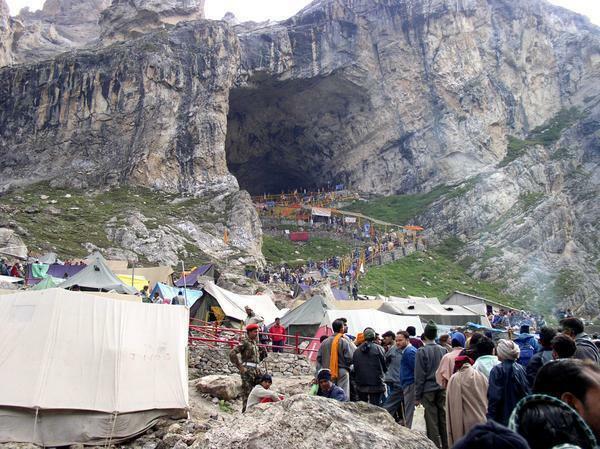 The beginning of the annual pilgrimage, called Amarnath Yatra is marked by 'pratham pujan' to invoke the blessings of Shri Amarnathji.The Amarnath Yatra is organised every year by the J &K Govt. during the month of sharavan. In 2016, the Yatra would commence on 2 July and end after 59 days on 29 August. Devotees travel on foot, either from Srinagar or from Pahalgam. The latter journey takes approximately 5 days. The more common practice is to begin the journey from Pahalgam, and cover the distance to Shri Amarnathji and back in four or five days. The base points for the pilgrim's trek are picturesque Pahalgam and Sonamarg, a large tented township springs up to accommodate the pilgrims at both these locations. These days Shri Amarnathji Shrine Board (SASB) conducts and coordinates all the pilgrimage related activities. The feeling of divine which is always beneath ones' heart , burst out and one realises ‘Moksha’ as one attends the Cave and perform the prayer before the Shivlinga . Surrounded by beautiful valleys, mountains , one will always feel His presence on the paradise of the earth, a journey which will rediscover the nature and its love which is always inside but one has never felt. The climatic conditions are very uncertain . Rain or snowfall may take place at any time or place during the Yatra .